Boy, can life after cancer be a scary time. Suddenly you're faced with days stretching ahead of you with no treatment plans or appointments. Will you be OK now by yourself? Will the cancer come back? Is it back already and I don't know yet? Every minor ache and pain is suddenly cause for concern. What is that? Why is it here? What do I do about it? What does it mean? On and on, the washing machine of your mind goes. How do you deal with this new phase? Perhaps you can go back to work and re-immerse yourself in the day-to-day of completing a job that has nothing to do with cancer. Perhaps you have a new outlook on your world, and decide to make some major life changes. Perhaps a new job, a new home, even a new city. Perhaps you take everything in your stride and just keep going, head down, one foot in front of the other. Fears at this point are inevitable. They're completely normal. They're part of the package deal. We should treat them as such, just as we would any other symptom. Acknowledge them; address them; deal with them. My greatest fear is cancer returning. I think about it every day. It seems my brain likes to repeat it. I firmly tell myself that no, it's not coming back. Not now, not ever. I put on a motivational video on YouTube. I listen to them as I make breakfast for me and my little boy. I put on some uplifting music and we have a dance in the kitchen. Then we tidy up and get out into the day, whatever the weather. We go for a walk, breathe in deeply, admire the blue sky and sunshine, think of spring and all we have to be grateful for. Most importantly, we talk to the fear, tell it to go away, not here, not today, you're not welcome. Strangely, it might be scary not to have tablets to take, or appointments to attend. But you can do a lot to ease your fears by creating an Anti-Cancer Plan. Do whatever makes you feel good, perhaps visit a naturopath and have a herbal remedy made for you. Ask their advice on what vitamins and supplements you could use to best support your body. Or perhaps take a probiotic. Make it your priority to get at least thirty minutes of activity every day. Take up yoga, go for an aromatherapy massage, learn to paint. Make small but lasting changes to your health by eating more vegetables and less processed foods. Drink more water, have more sleep and avoid stress. If you had breast cancer, check your breasts and underarms weekly. Research any other changes you'd like to make. Write it all down, stick it on the fridge, follow it every day. This gives you control. I struggle to read heart-breaking illness stories in the news. In fact, I don't even look at the news anymore. But the stories seem to find me anyhow: in my Facebook feed, on my Twitter page, in a newspaper headline at a supermarket checkout. I see them and my breath catches in my throat. I move past quickly, pretend I haven't seen it, or sometimes I have a look and my heart falls into the pit of my stomach. These stories don't help, so I delete the sources that seem to be sending them. If it's not helping, it's not getting air time with me. Things that do help are having a good laugh. Michael McIntyre does it for me - he really makes me giggle. Or visiting a good friend who makes things seem so much more positive than before they arrived. Calling my Mom. Going for a little shopping trip. Sometimes it's just a cup of coffee at my local Starbucks with my little boy for company. It's these small acts of self-care that help me along. I run Happy Magazine and find this is a wonderful therapy. Thinking of the next day's post, writing it, answering emails, seeking opportunities - it fills my mind with positive purpose, it fills my quieter moments with something meaningful. Late at night has never been a good time for me. I'm tired and the fears start to creep back in again. I have a bedtime routine which helps. I leave my mobile phone downstairs. I fill a hot water bottle and make a cup of my herbal remedy tea. I head upstairs, turn on my salt lamp and bedside lamp and brush my teeth. I settle into bed, propped up with pillows, and read. Sometimes a book, sometimes a magazine, sometimes a cookbook. I have a Po-Ho inhaler of essential oils and breathe that in with ten deep breaths - it's wonderfully calming. When I lie down to sleep, I visualise. I think about my body filling with stripes of white healing light. Starting at the very top of my head and spreading down, behind my eyes, behind my nose, behind my mouth, filling my head. Moving down into my neck, my chest, my tummy, right down to my toes. Until all of me is filled with this blinding, healing light and I am glowing from the inside. I don't always make it all the way to my toes before sleep takes over. I find this a great way to fall asleep. 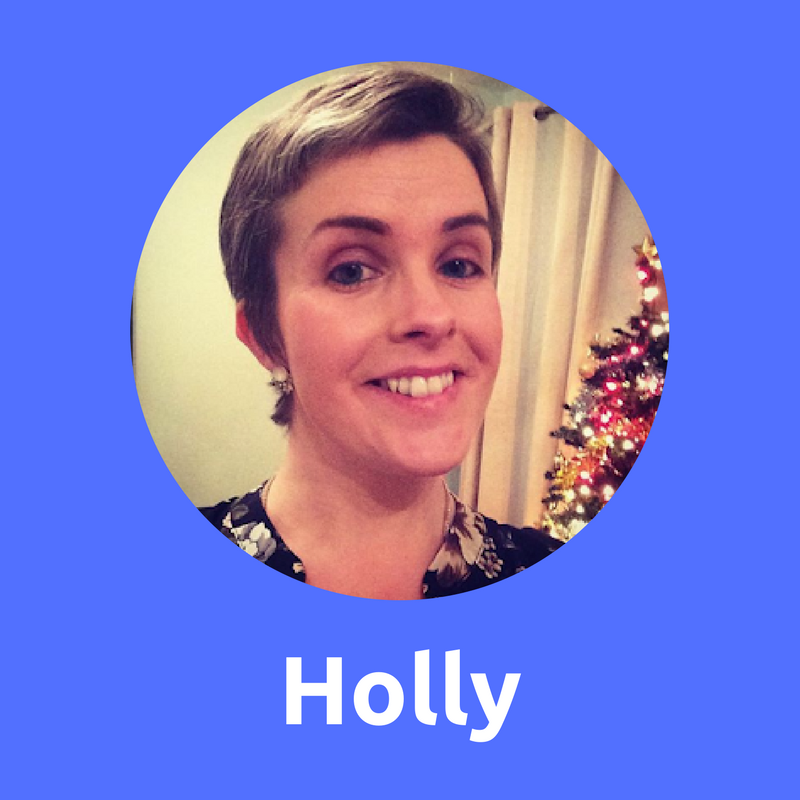 Holly was diagnosed with breast cancer two years ago. She runs the Happy Magazine, which shares something positive, helpful or interesting every day for people going through cancer in Ireland.